Even though modern computers have become very powerful and can have gigabytes of internal memory, businesses collect, process, and produce more data and information than ever before - and it all has to be stored somewhere. Data storage solutions are organised in a series of levels, each with its own purpose, equipment, and constraints. The first or top level is referred to as Primary Storage. This is the RAM or internal memory in the computer. This is the only part of storage which can be accessed directly by the processor. RAM is ‘solid state' - there are no moving parts as it is made up of memory chips on circuit boards. As there are logical, physical, and cost limitations to the amount of RAM in a computer, there needs to be somewhere else to store all the data not immediately needed by the processor. The hard drives in, or attached to the computer, form the next level of storage, referred to as Secondary Storage. This is where the programs and data sit until they're needed by the processor, and where they are put when the processor has finished with them. Each drive contains a number of circular ‘platters' spinning at high speed (up to 10,000rpm) inside an hermetically sealed outer casing. 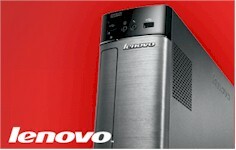 They vary in capacity and performance, and like RAM, have consistently reduced in price over time. These hard drives may be linked directly to a single computer (the typical internal hard drives) or may be attached directly to the network (known as NAS, Network Attached Storage). The advantage of NAS is every computer has direct access to it - requests for data don't have to be routed through and processed by an ‘owning' computer. It is also easier to add storage capacity without interfering with any of the computers. The third level in the storage hierarchy is called Tertiary Storage. As the cost of hard drives has fallen, and their size has increased, the economics of Tertiary storage have shifted. The typical third level store is part robot and part huge filing cabinet. The computer's processor tells the robot where in the filing cabinet it can find the data. The robot selects the storage media (either a Tape or Magneto Optical Disk) and puts it into a drive so the processor can read the data it needs into RAM. Very few installations have enough old or archival data which might be needed by the processor to warrant the cost of a robotic system - many organisations, particularly the small to medium ones, store everything on hard drives. This is where NAS has come into its own. There is a further type of storage, not forming a level in the hierarchy, known as Off-line Storage. It is referred to as being ‘Off-line' because a computer's processor cannot have direct control of the data stored there. The media used for this storage is removable tape. This Off-line Storage is also known as Backup Storage. Unlike the three levels of the storage hierarchy, the data stored here is usually only required when something goes wrong. If one or more files are ‘lost' (deleted or corrupted), the backup is where they should be found. Off-line storage is also used for the final archiving of data and information, particularly where there are legal or legislative reasons for keeping it.